MILWAUKEE--(BUSINESS WIRE)-- Registration is now open for the 2018 Automation Fair, hosted by Rockwell Automation and members of its global PartnerNetwork program. 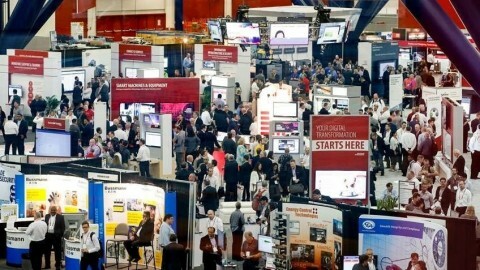 The 27th annual Automation Fair will be held Nov. 12-15 at the Pennsylvania Convention Center. The event brings together approximately 10,000 manufacturers and producers from across the globe to learn about the newest innovations in automation and take part in training, industry forums and networking events. On Nov. 14 and 15, attendees can explore more than 150 exhibits showcasing the latest product innovations for industrial manufacturing and production from Rockwell Automation and its PartnerNetwork members. The event provides more than 400 hours of educational opportunities through forums, hands-on labs and technical sessions. Forums will feature best practices from customers and leaders on nine critical industry topics including chemical, food and beverage, life sciences, material handling, mining, OEMs and smart machines, power and energy, water wastewater and workforce development. Hands-on labs will deliver interactive product training, while technical sessions will provide lectures with cutting-edge use cases and demonstrations. Both offer tracks in control; information solutions; network infrastructure; power, motion and motor control; process solutions; safety and security; services and solutions; and visualization. On Nov. 12 and 13 customers will discuss and learn about best practices, innovative approaches and new technologies in process automation at PSUG. The event will feature executive keynotes, 50 insightful technical and customer-led sessions, and 10 hands-on labs addressing today’s most relevant topics, including control strategies, optimization and process safety. Global media and industry analysts are invited to attend Automation Perspectives on Nov. 13. Rockwell Automation executives and industry leaders will showcase how organizations are putting the Connected Enterprise into action to expand human possibility; share strategies to address opportunities and challenges in areas such as cybersecurity and workforce shortages; and highlight key partnerships including how Rockwell Automation and PTC are innovating together. Registration for Automation Fair, PSUG and Automation Perspectives is now open.